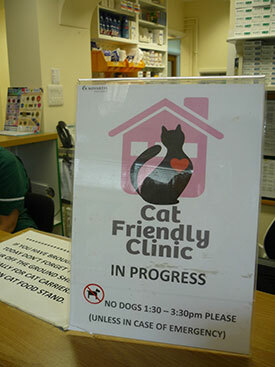 Knowledgeable vets, nurses and other clinical support staff who are trained to be aware of the different needs of cats. Designated cat waiting area with carrier “hidey holes” high up, and Feliway-impregnated covers. 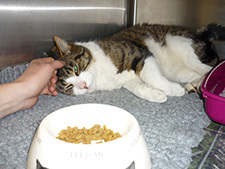 Cat-only ward for hospitalisation separate from our canine patients. 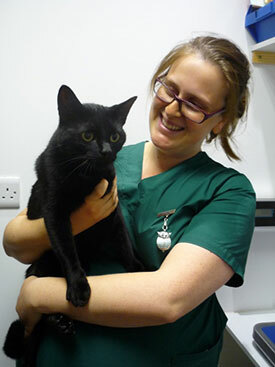 Equipment and facilities to cater for cats Designated staff as Cat Advocates who make cat care within the practice their priority. Receiving this award doesn't mean that we don't love seeing all of our doggy clients! 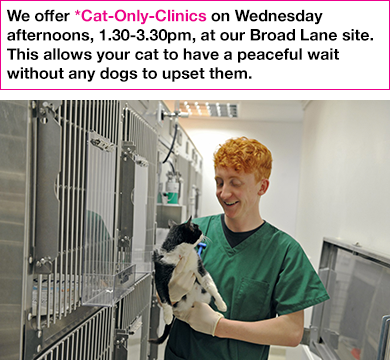 The separate waiting area benefits our canine friends too as they can quite often be either scared or overexcited by visiting the vets as well as cats. And dogs have their own ward for hospitalisation too.